An Online Game Chat tool for manipulating your voice. 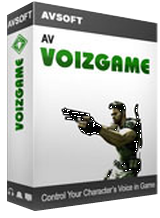 AV VoizGame 6.0 was available as a giveaway on May 19, 2016! AV Voizgame is a cool, specialized voice changer that definitely will take your in-game communication to a whole new level. 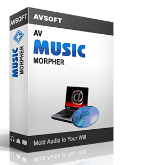 It works perfectly in real time and is compatible with most VOIPs, voice chat systems and game platforms, including Steam, TeamSpeak, Ventrilo and many more. One prominent feature is the Pitch and Timbre graph for creatively adjusting your voice output and then save it for later use. Additionally, there are many ready-to-use voice presets called Nickvoices for quick adjustments to add just the accent or sound you are looking for. With great features for gaming such as hot keys to switch between voices, transparent mode, and a built-in recorder, your gaming experience will be better than it has ever been; blow your teammates away with an awesome audio presence just by using AV VOIZGAME! How would you improve AV VoizGame 6.0? The activation issue has been resolved. Please, try registering the software once again if you were getting the "invalid code" message. Giveaway of the Day, I question the accuracy of the above statement. With no technical support for the publishers, it leaves some of us in a bit of a quandary on getting it to be operational. I apologize. 5 min. before 12:00 I was able to get the activation code using Firefox instead of Chrome. I figured maybe I could install the trial and "paste exactly the information below into the AV VoizGame Setup box." THAT I RECEIVED BECAUSE I FOLLOWED THE INSTRUCTIONS. Only, there is NO "set up box." So, I'm left with a TRIAL version and NO FREAKING PLACE on the voizgame software menu to add my serial number THAT I RECEIVED BECAUSE I FOLLOWED THE INSTRUCTIONS. All I see on the trial program popup is a Buy option under "HELP" that takes me to a purchase page that asks for a freaking discount coupon number that is apparently different than a serial number. Thanks AGAIN for NOTHING, GOTD. Please on your next update start with its muted just woke whole family to some horrendous feedback and your profile wouldn't shut down had to task manager. So I haven't had the balls to turn it back on yet until no one is around and have full control of all volume records and playback. Wow, that really comes close to making we want to uninstall it. But I will still check it out. FOUND THE SECRET TO GETTING THIS THING TO PROVIDE THE ACTIVATION CODE. It then gave me the activation code. Took me two tries to get it to accept this code, after I tried rebooting and then booting the application twice, if finally accepted the registration. All is well now! FOUND THE SECRET TO GETTING THIS THING TO PROVIDE THE ACTIVATION CODE. HERE IS WHAT I DID THAT WORKED: Go to http://www.audio4fun.com/gotd/giveawayoftheday-voizgame.php DO NOT ENTER YOUR NAME, INSTEAD ENTER GIVEAWAYOFTHEDAY Then your email and then the gotcha code It then gave me the activation code. Took me two tries to get it to accept this code, after I tried rebooting and then booting the application twice, if finally accepted the registration. All is well now! Just a question before attempting to install this software. Will it overwrite the audio programs that I already have on my PC? I have an audigy sound card and another program that I use for recording my old record albums. Would sure hate to goof that up in order to try this fun software! So, got it installed and got the audio drivers installed as well. Can also see how to control the voice, etc. But... how do you actually get it to work? What needs to be set? I have a microphone plugged in, and it shows levels when I speak into it, but nothing else. I tried the tutorial for using with skype, but even though I can see my voice registering on the meters in the VoizGame panel, nothing gets to Skype. This program is really obtuse. Windows 10 is requiring a digitally signed sys driver from developer's site. I can't find the file on developer's site and so cannot install the program. to get the proper code, entering name, email, country and verification code leads to an error "Verify Code Fail." I have tried this 20 times and with different email. How does one get past this failure to register? When attempting to register at http://www.audio4fun.com/gotd/giveawayoftheday-voizgame.php to get the proper code, entering name, email, country and verification code leads to an error "Verify Code Fail." I have tried this 20 times and with different email. How does one get past this failure to register? 4 hours in, does the publisher or anyone actually read these posts? I g0t the serial number and activate sucessful, please try it again before the giveaway day end. Chris Kenney, I g0t the serial number and activate sucessful, please try it again before the giveaway day end. I installed and successfully activated on Windows 7.Tried it and didn't find it useful for my needs so I tried to uninstall and the software says "Could not open INSTALL.LOG file". Now how am I going to get rid of this software without having to use Norton Ghost. This program says the installation log cannot be found. Jim, This program says the installation log cannot be found. Best Website ever love the apps thanks for all these great apps giveawayoftheday team love you all!! Worked on second try but then asked me to close the programme to complete registration. The programme wasn't running. Reboot required -- I assume it's registered. Hi, what sounds like a lot of fun.. voice manipulation (unlike picture manipulation, which in my view can produce really hilarious effects! :) - will always have more sinister undertones, hmm. I guess you would have to see it from parent/grandparent's point of view, but even description of VoizGame gives me shivers!.. Before protesting 'but practically everything can be misused'? - to which immediate answer is 'SURE'! - I would carefully add: depends who (else) is using such device, and/or for what purpose other than innocent fun!? So just a little word of caution before introducing VoizGame to kids? Simple combination of online 'game venues' plus this 'cool voice manipulation' (yes, I'm still reading description of how and where this Software could be most suited! )..is bad enough, sorry. Just another angle of looking at Today's offer, and not meant to spoil enthusiasm of those who will use it as intended, and that is entirely for fun among friends. When you're certain knowing who they are! I had the exact same thought when I first read the description, but what I thought after was that the people who would use it for bad purposes would be the ones who would go and find something similar for that exact purpose. The technology has been out there for such a long time. But the simple, innocent playful users - and there are a lot of gamers out there who would find this fun - are the ones who wouldn't necessarily find it without being shown that even they can have this kind of fun. I role played with a kid who *did* find something like this, on his own, and used it to create a audio clip for a spell he cast. It was a really awesome effect. Oh, and he was only 15 or 16 when he did it. So the stuff is out there if anyone decides to find it. So even though I did have the exact same thought you did, the one that followed said, locks keep honest people out, not thieves. So in my humble opinion, Play On! Thank you GATOD. fran, I had the exact same thought when I first read the description, but what I thought after was that the people who would use it for bad purposes would be the ones who would go and find something similar for that exact purpose. The technology has been out there for such a long time. But the simple, innocent playful users - and there are a lot of gamers out there who would find this fun - are the ones who wouldn't necessarily find it without being shown that even they can have this kind of fun. I role played with a kid who *did* find something like this, on his own, and used it to create a audio clip for a spell he cast. It was a really awesome effect. Oh, and he was only 15 or 16 when he did it. So the stuff is out there if anyone decides to find it. So even though I did have the exact same thought you did, the one that followed said, locks keep honest people out, not thieves. So in my humble opinion, Play On! Thank you GATOD. Really ? I mean....Really ? fran, Really ? I mean....Really ? here you go: https://www.youtube.com/watch?v=SGkFRs6eng4 Wow. On a scale of 1, with 10 being the best, I give a 4 to this 30 bucks' kid toy. this 7 year old tutorial gives you the basics. Can it be used in Skype and other phone voice software? It appears the obtuse answer to Win 10 compatibility is: "NO, but maybe." There is a serious problem with this product's installation in Win 10 x64 Home. With all antivirus off, the software still will not install, even as an administrator. Most Win 8 software installs fine in Win 10, but, not this one. I tried to be clever, changing compatibility to Windows 8, and setting the flag to run as administrator AND keeping antivirus off, and that seems to have worked. There was only a single Windows complaint about a non-signed driver. After jumping through hoops, it seems to be working. Hope these tips help you install it on Win 10, and sure hope this software is worth the effort. There is an echo when I try to use the software. The echo continually becomes higher pitched until it sounds like a very high pitched tone. I've just downloaded AV Voizgame 6.0, and got the expected 15.2 MB file. The AV Voizgame homepage says that AV Voizgame 6.0 is a 6.52 MB file. Has something been added to the version being offered by GAOTD? Thanks Jes, I'll give it a try. Can it be used in Skype and the likes? Lets hope today's vendor is as responsive as yesterdays. Windows 10 Compatibility? Can it be used in Skype and the likes? Lets hope today's vendor is as responsive as yesterdays. Nigel, please see system requirement as above. This software could be used in Skype and many online chat application, online game chat applications. Please see tutorial in the get license page. Nigel, please see system requirement as above. This software could be used in Skype and many online chat application, online game chat applications. Please see tutorial in the get license page. I read that first and it didn't mention Windows 10. Clearly from your response. It is NOT Windows 10 compatible which can no longer be called a "new" Operating System. Jes, I read that first and it didn't mention Windows 10. Clearly from your response. It is NOT Windows 10 compatible which can no longer be called a "new" Operating System. I have tried and the software is quiet amazing for playing and having fun with my friends. They were laughing to death when I spoke through the voice chat. Besides changing voice, I think other stuffs are also useful, not just when you are talking. I recorded some audio message in different voices, and gave it to one of my friends as the birthday gift. It was cool. I have tried and the software is quiet amazing for playing and having fun with my friends. They were laughing to death when I spoke through the voice chat. Besides changing voice, I think other stuffs are also useful, not just when you are talking. I recorded some audio message in different voices, and gave it to one of my friends as the birthday gift. It was cool. manu, please following the instruction in the download file to get the serial number to activate the software. Jes, I've sent 2 requests for the Serial # but still haven't gotten one. I used 2 different e-mail addresses. I've checked inbox , junk & spam folders with no luck. On the special page for activation, when you provide your info and send it, the 3 pieces of information needed are shown directly on the same page. Copy it and use to activate, that is what I did and my program is now fully activated. Carl, On the special page for activation, when you provide your info and send it, the 3 pieces of information needed are shown directly on the same page. Copy it and use to activate, that is what I did and my program is now fully activated. Paul G., Thanks, that worked. My bad for not reading the Readme more carefully.